DWL053 . 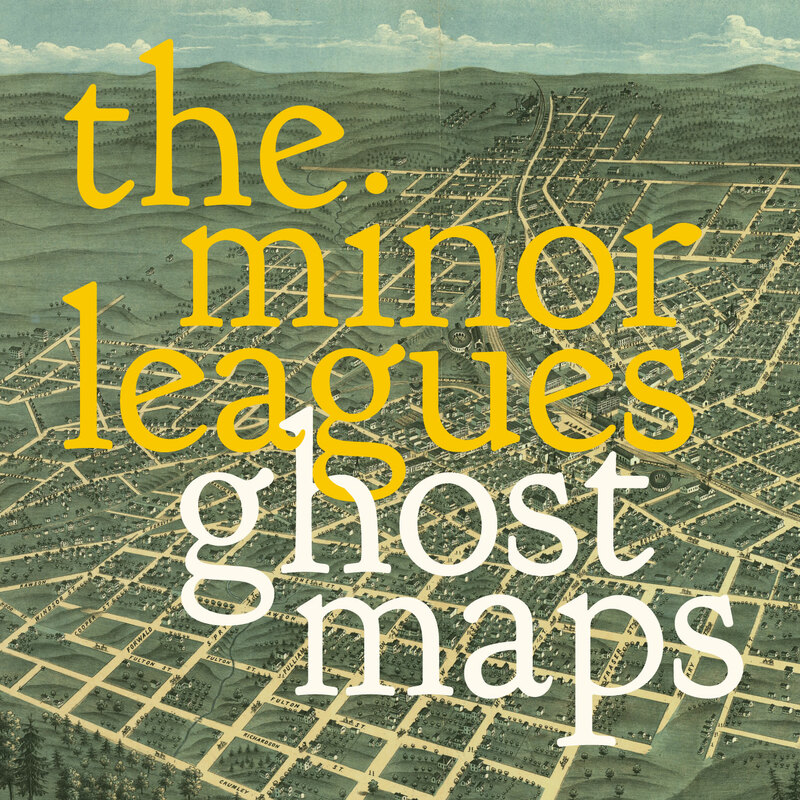 Released June 7, 2011 Description 'Ghost Maps', the new single from The Minor Leagues, is available today as a free digital download - the latest in a string of releases from the Cincinnati seven-piece to pair stinging melancholy with insidiously catchy indiepop. The Leagues' last two records covered the end of a relationship and the end of the world in overblown concept-album fashion, and this new track, backed with b-side 'Please Don't Throw My Love Away', is our introduction to North College Hill, the titular town that serves as the focus of their next full-length record, due in 2012 on Datawaslost. Both songs delight in nostalgia, with Brill Building arrangements filtered through the drive and sing-along choruses of 90s Brit-pop, all set against a backdrop of lush instrumentation. The band's past work has earned them comparisons to recent popsmiths like Belle & Sebastian and The New Pornographers, but their charm, witty lyricism and ear for detail sets them apart from the rest. Reviews The superb, now veteran local Indie Pop group The Minor Leagues are gearing up for the release of their new album, North College Hill. The album was recorded last summer with Sean Sullivan at The Butcher Shoppe, the Nashville studio owned by legendary singer/songwriter John Prine and Grammy-winning engineer Dave Ferguson (Johnny Cash, U2, Ryan Bingham), and was recently mastered by Michael Bond from the band's label, Datawaslost.. The Minor Leagues have not only become known for their amazingly melodic Pop tunes, but also for their dedication to the "concept album" concept. The new album (due in September) is named for frontman Ben Walpole's neighborhood growing up and the two new songs are a hint at the theme behind the release. 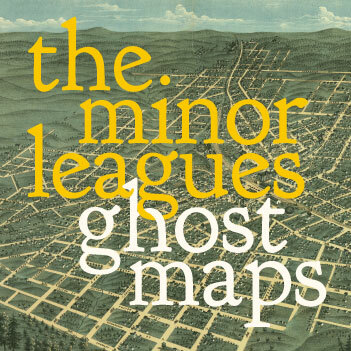 A ghost map sounds eerie, especially if it's referencing a cholera outbreak in 1800s London -- Thank you, Wikipedia. This track, however, oozes with gooey pop goodness that is upbeat, and it's bound to be your go-to summer tune. With a melodic bass line, atmospheric piano refrain, and well-placed, chimed accents, ÒGhost MapsÓ sweeps us without resistance into its briskly-rendered nostalgia before a word is even uttered. Once the singing starts, Ben Walpole, with his soft-spoken, Stuart Murdoch-y croon, manages the keen trick of being both front man and band member, his voice finding its central but not over-bearing place among the guitars and chimes and female harmonies and indistinct wash of background sound, all coursing along at a near-breathless pace. On the one hand this does make the lyrics somewhat harder to discern, but on the other hand, it renders the often wistful phrases that come to the foreground all the more redolent. The whole thing feels like someone rifling through a photo album too quickly to see anything but a Kodachromatic blur of oranges and yellows at once bleached and vibrant.